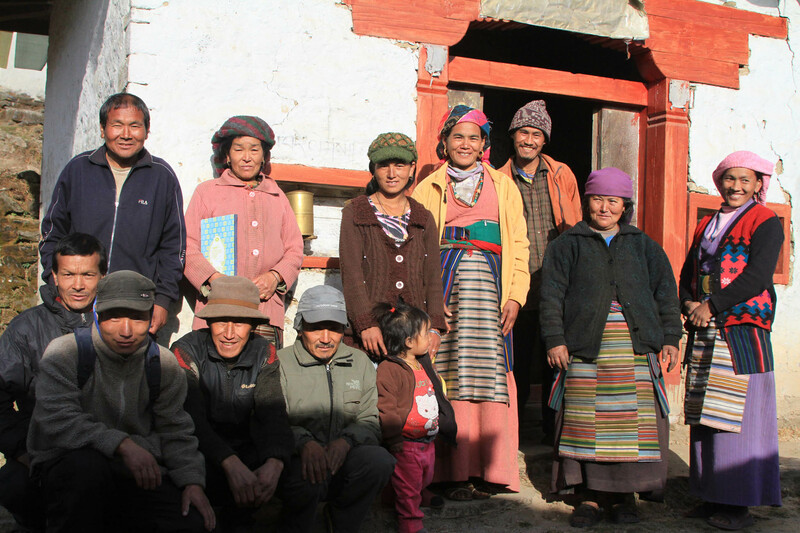 In rural Nepal, most families follow subsistence agriculture as their chief occupation. Employment opportunities are extremely limited. In recent years, this has driven a significant portion of the village youth to pursue risky jobs abroad specially in Gulf countries. Now, Nepal derives more than 30% of its annual GDP through remittance sent by these migrant workers. 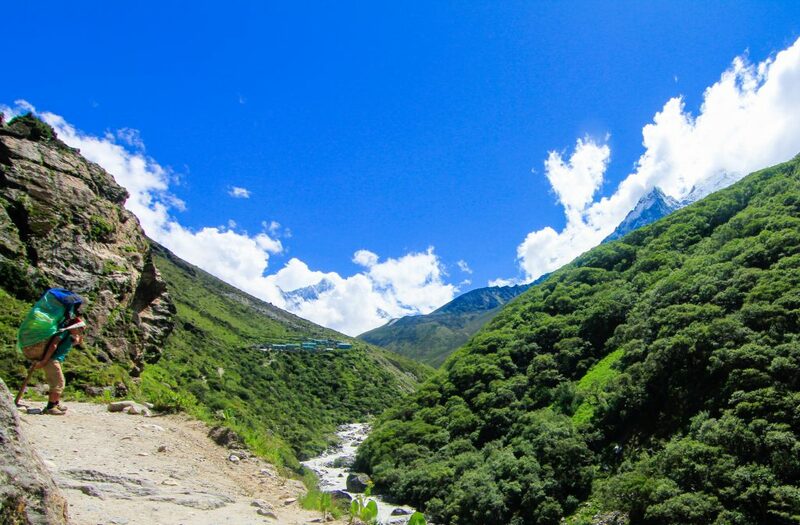 In our working areas in some of the most remote valleys of Eastern Nepal, outbound migration is lower than other parts of the country due to the seasonal employment provided by trekking jobs in the Everest region. However, both of these big income providers come with their own share of hardship, and challenges including family separation as well as dangerous working environments. A porter in the Everest region resting briefly! 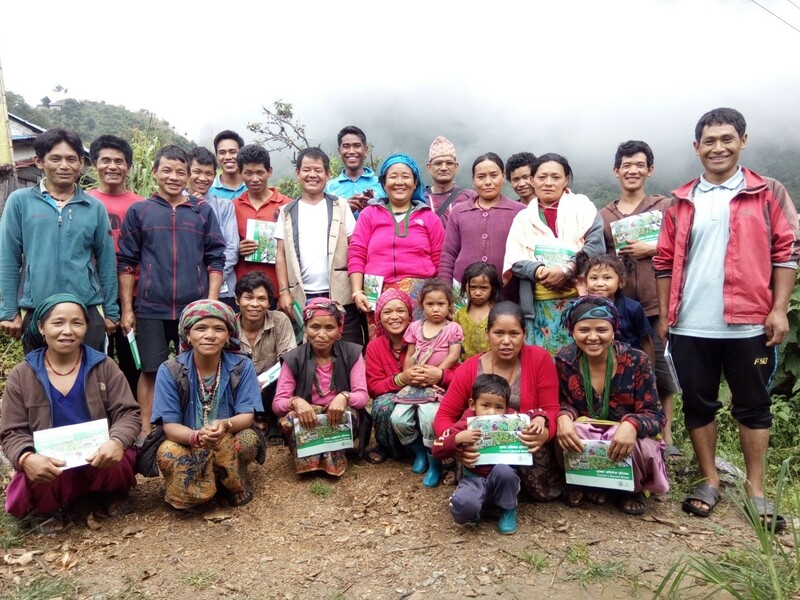 When we started an ambitious agriculture program in 2014 by popular and repeated demand from our partner communities, we set new income generation as one of our primary goals. Our first priority was improved nutrition, but additional income support to families by selling new cash crops would be a close second. 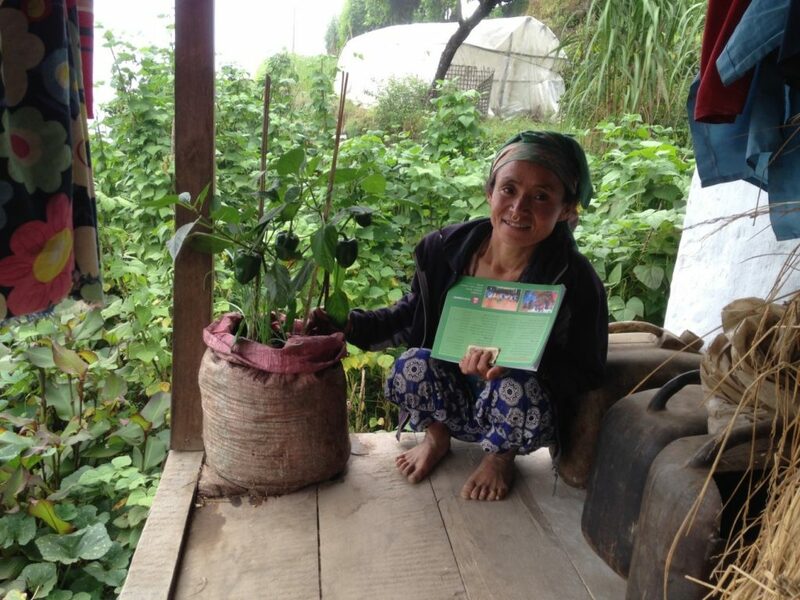 To this end, we set a goal that at least 50% of our farmers will be earning more than USD $200 at the end of 5 years. 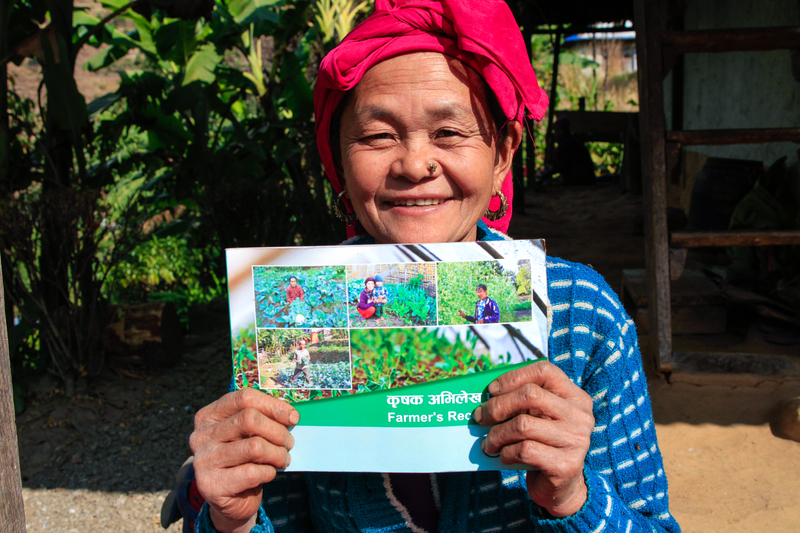 A simple goal of our evaluation efforts was to learn how much each farmer household was earning each year. But when we asked people how much they had made, we got answers like the ones provided by our members from Saunthem Farmer’s Group. It proved difficult for people to remember what they had sold and for how much and what volume in the past year. Stumped, we put together our head to devise a simple tool which will help farmers track their farming activities including income and expenses. 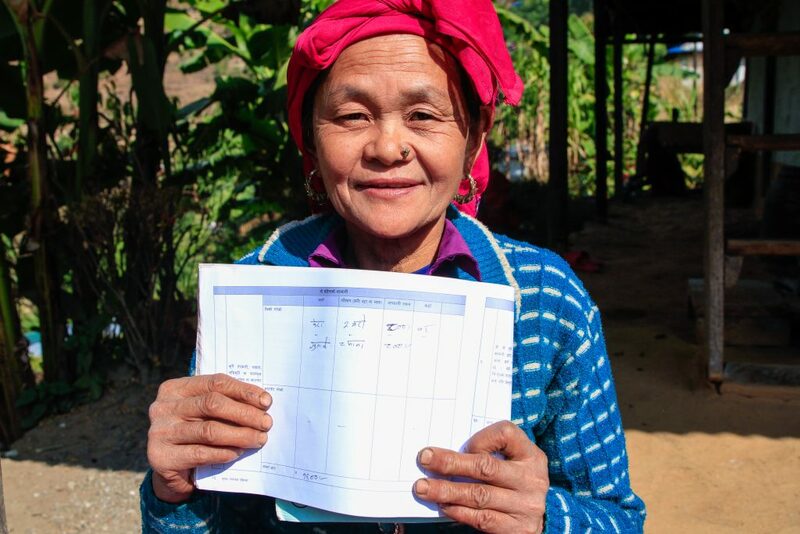 After piloting of a few tentative forms and sheets, we finally created the Farmer Record Sheet (FRS) – a small booklet like a bank passbook which is provided to each and every farmer so they can record their activities and earnings each month. There are separate columns to record which vegetables or crops were sold by the farmers, what amount and how much they earned from those sales. It also has columns to record expenses incurred for farming activities like purchase of farm tools or seeds. Farmers can also record what vegetables they have planted on that particular month as well as what they have harvested. This sheet also has a place to record any diseases or problems encountered in the kitchen garden every month. Page 1 and 2 of the Farmer Record Sheet! Page 3 and 4 of the Farmer Record Sheet! These 4 pages shown above are repeated for 12 months so that farmers can enter their activities for the entire year in a single book. After a 12 month cycle, farmers can then consolidate all of their expenses, sales, crops planted and harvested – thus having a complete picture of what their household profit has been, which crops were more successful, and what their household consumed throughout the year. Our evaluation team records their profit every three months – thus giving us the important data we need to measure the output of our agriculture program! 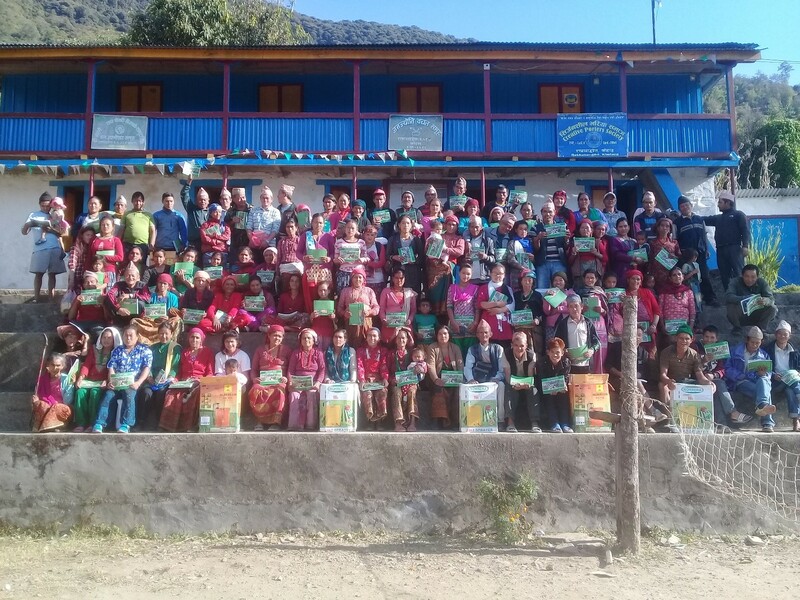 Distribution of Farmer Record Sheet in Rakha. Since more than 50% of our farmers cannot properly read or write, we have multiple approaches to make sure that the records are filled in regularly. 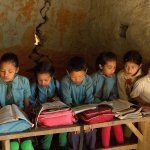 In some farmer’s groups, we have involved the children of the household, making filling out the forms part of their daily homework. 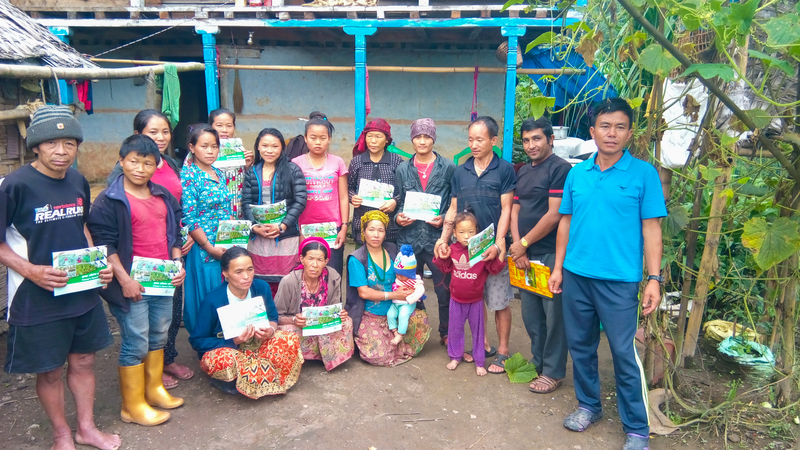 Our agriculture technicians also visit farmer’s groups during their monthly meetings and help the farmers who were unable to fill in their records. Within each farmer’s group, we also help form a sub-committee of literate farmers who checks the books of other members and help them fill these out. 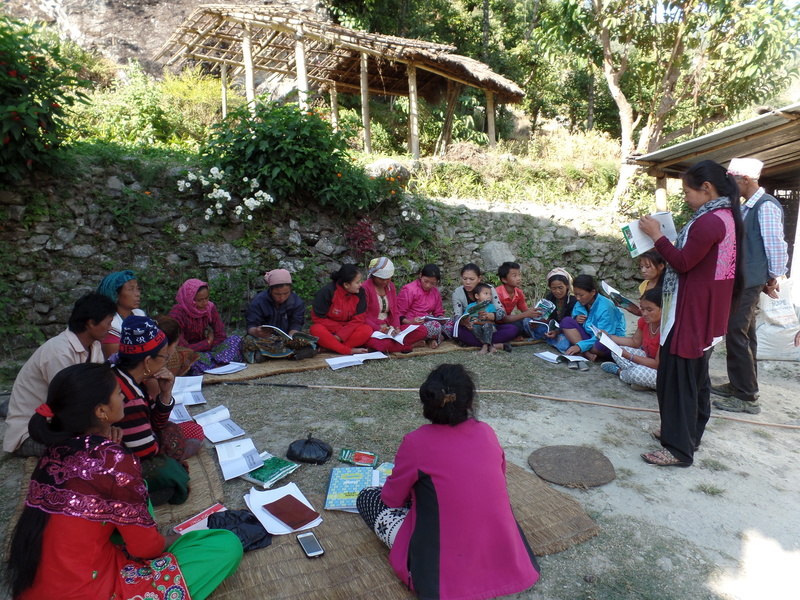 Agriculture Technician Thamsari briefing farmer’s group about how to fill the records! 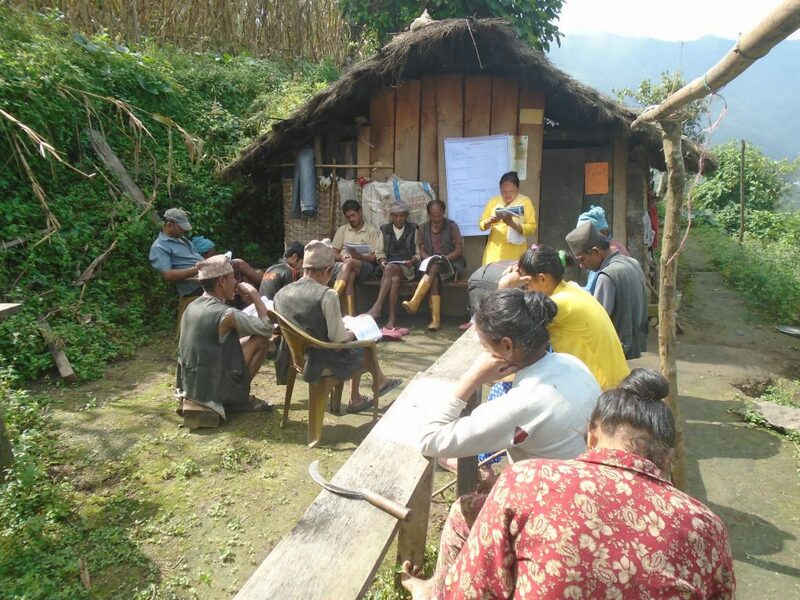 Farmer members discussing about Farmer record sheet during their monthly meeting in Sotang. Members of a farmer’s group helping each other out in filling their record book. Our agriculture income data has become more robust, reliable and organized since we replaced the household survey method with the record sheet system. This has been working well for almost 2 years now. Our latest records show that 82% of our farmers from 9 communities are earning an average income of Nrs. 18,941 (~USD 180) by selling vegetables and spice crops! There are currently 3,465 farmers within our agriculture program. Now, farmers like Buddi Kumari have a clear picture of what their yearly income is from farming. Based on the data that she has written down in her record book, she can make informed choices of which crops to invest in the coming years. 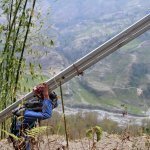 A tool that we developed to help us understand how effective our program was, has become an important tool in helping our farmers evolve into entrepreneurs. 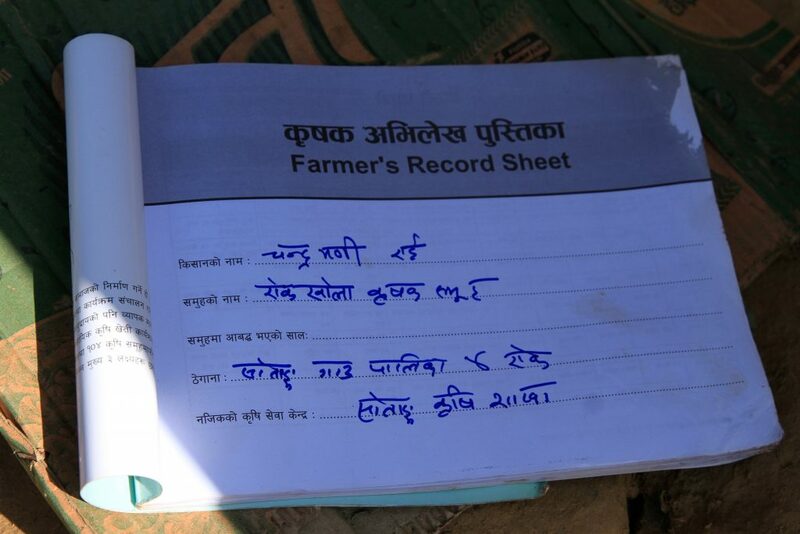 Chandramani Rai from Rokhola Farmer’s Group shows us her Farmer’s Record Sheet. 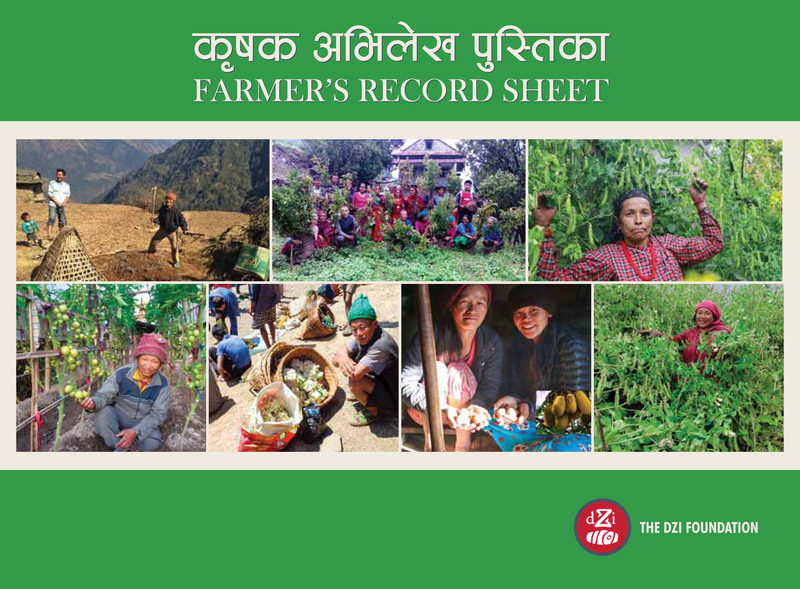 Farmer Record Sheet of Chandra Kumari Rai from Rokhola Farmer’s Group. Chandramani Rai shows us an inside page of her FRS. According to the entry for this month, she sold banana and hot pepper and earned Nrs. 1600 (USD16).